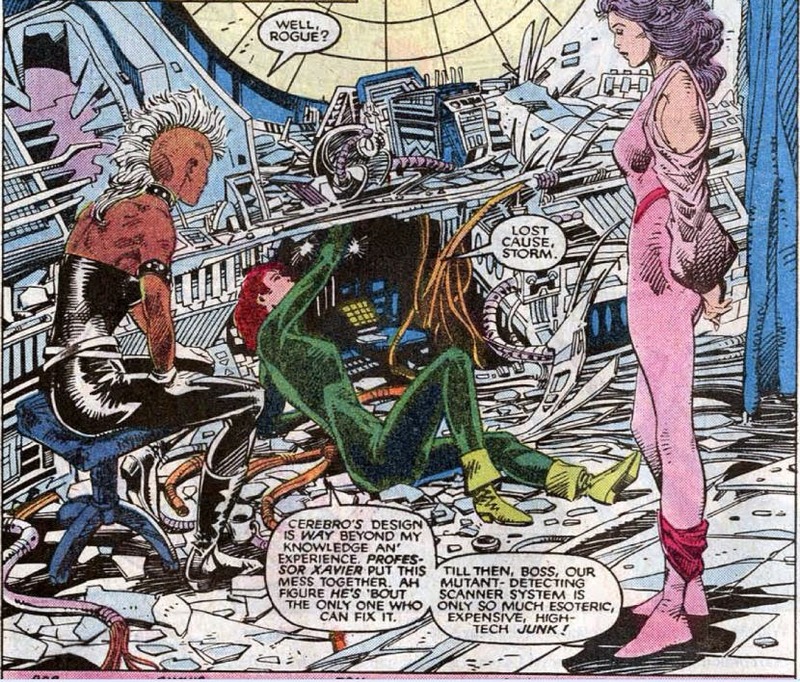 The X-Men attack Rogue, hoping to draw Malice out so Psylocke can attack her directly. 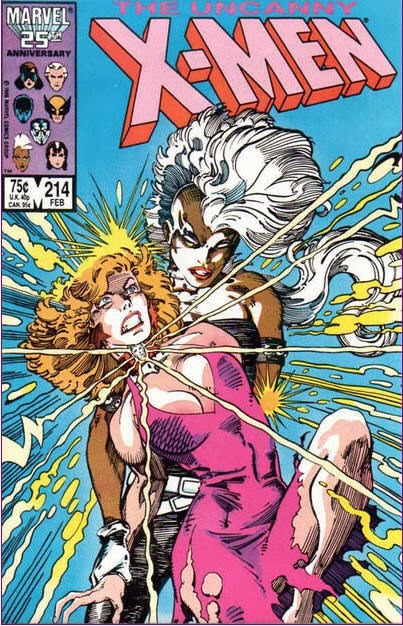 When Dazzler manages to temporarily overpower Rogue's senses, Malice flees her body, but Psylocke is unable to prevent her from taking control of Storm. However, Malice is empowered by the suborned darkness in each of her victim's minds; as Storm long ago made peace with that side of herself, she is able to overpower Malice. Forcibly ripped from Storm's body, Malice flees, finding refuge in the body of a nearby police officer. 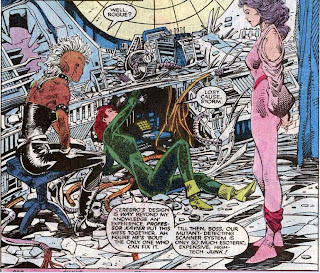 As the X-Men leave the scene, once more painted as villains thanks to Malice, Storm tells Dazzler that she is too big a target for the Marauders, and that she will be safer amongst the X-Men. Though she does not want the life of a superhero, she accepts. From a distance, Malice watches them go, pleased with the distrust her actions have sown amongst the X-Men. Dazzler joins the X-Men in this issue, seven years exactly (per cover dates) after her first appearance in X-Men #130. She joins somewhat reluctantly, Storm telling her that, her cover with Lila blown by Malice, she is now a target for the Marauders, and will be safer with the X-Men than out on her own. Barry Windsor-Smith pencils this issue, his fourth and final collaboration with Chris Claremont on this series. Unlike his previous issues, however, he only provides the pencils, and does not have any story, inking or coloring credits on the issue. The cover, meanwhile, is penciled by Art Adams, but inked by Windsor-Smith. Cerebro, damaged by Sabretooth's attack last issue, is declared beyond the repair abilities of the present X-Men, effectively ending the era of the X-Men being alerted to a new mutant by Cerebro (though it's been ages since that's happened anyway) or having the ability to boost a telepath's range and/or track down a specific mutant, for the foreseeable future at least. After Malice has been defeated, Wolverine suddenly attacks Storm, his senses erroneously telling him that she's been possessed again. This failure of his senses marks the beginning of a slow arc for Wolverine (one that carries him almost to the end of Claremont's tenure) that finds him at various times questioning his abilities, unable/unwilling to trust his senses and generally losing his edge. 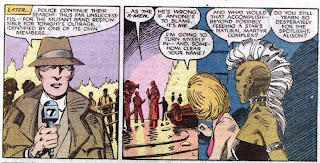 Lila Cheney's appearance in this issue marks her first appearance in Uncanny X-Men, though she's on a first-name basis with Wolverine at least. 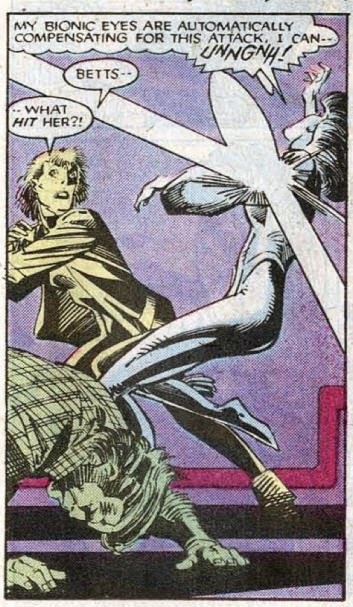 Psylocke's bionic eyes help her withstand Dazzler's light-based attacks. 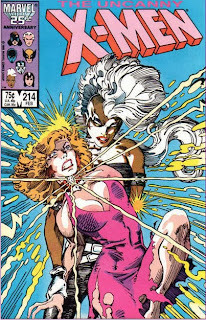 Dazzler mentions having an old score to settle with Rogue, a reference to Dazzler #22-24, when Rogue battled Dazzler prior to joining the X-Men. This enmity will pop up again during their time as fellow X-Men. 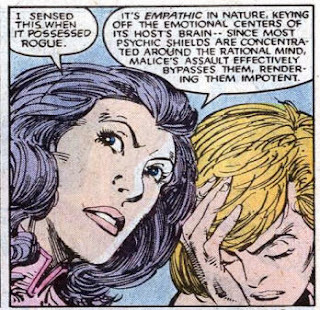 It's noted that Malice is an empath, which enables her to sneak past even strong psychic defenses. 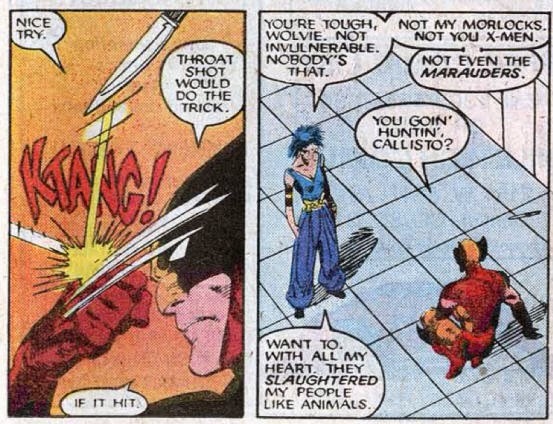 In one of the more grating Claremontisms, Wolverine answers the phone by saying "'lo" instead of "hello". I like abbreviations and slang as much as the next writer, but who answers a phone like that? 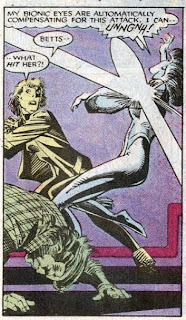 Dazzler is referred to as "Lightengale", which will become one of Claremont's preferred nicknames for the character. Callisto notes that Wolverine is not invulnerable, and both seem to agree that a knife to the throat would be sufficient to kill him. The X-Men's reputation takes another hit, after a Malice-possessed Rogue attacks a group of cops, then proudly points out that she's one of the X-Men. There's another, different, Lazer Tag ad in this issue. 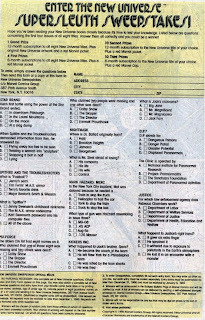 There's also a New Universe quiz, the prizes being subscriptions to New Universe titles and oddly-specific red Marvel jackets. Letters in this issue discuss issue #200, and the upcoming X-Men vs. Avengers limited series, which follows up on Magneto's aborted trial, is teased. "Mutant Massacre" formally ends with this issue (at least according to some trade collections of the story - the loose nature of the crossover makes it less clear exactly when the story ends; heck, you could argue it ended for the X-Men after issue #211), but in keeping with the somewhat fractured narrative of the story, there's no big climatic showdown between the X-Men and the Marauders. Rather, much as with last issue and Psylocke, this issue is chiefly concerned with establishing Dazzler as a member of the X-Men, using a single Marauder (last issue Sabretooth, this issue Malice) as the push to get the new member on the team. There's not a whole lot else to this issue (the Windsor-Smith artwork is also quite nice), though Malice does serve one other purpose to the story, as she puts the finishing touche on the Marauders' defeat of the X-Men. Already, they've physically broken the X-Men, sidelining Colossus, Nightcrawler and Shadowcat, and shattered the X-Men's sense of security, driving them (we'll shortly see) from their home. In this issue, Malice goes even further, her ability enabling her to sow the seeds of distrust amongst the already-reeling and still-rebuilding team, thus affecting even those X-Men who escaped the massacre physically unharmed. In that regard, then, this is a worthy, albeit subtle and unexpectedly-quiet, conclusion to "Mutant Massacre", as the Marauders deliver one final blow to the X-Men, threatening their trust in each other. Tomorrow, the other half of the New Mutants end up in their own alternate future in New Mutants #49, and Friday, Cyclops returns home in X-Factor #13. Next week, Storm and Wolverine try to visit an old acquaintance and meet some new enemies in Uncanny X-Men #215. I'm still not a big fan of Windsor-Smith, but Wiacek helps. I think I mentioned it for the last BWS story you reviewed, but I fairly recently found some of his work I like -- an issue of Claremont's Excalibur inked, of all people, by Bill Sienkiewicz! Their work looked really good together. 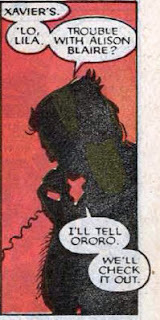 "In one of the more grating Claremontisms, Wolverine answers the phone by saying ''lo' instead of 'hello'. I like abbreviations and slang as much as the next writer, but who answers a phone like that?" Yeah, I don't mind his frequently-used "h'lo", but "'lo" just makes no sense. "Callisto notes that Wolverine is not invulnerable, and both seem to agree that a knife to the throat would be sufficient to kill him." Isn't that, in fact, how Mystique killed him in her simulation in issue #176? Or am I thinking of someone else? At any rate, I'll say it for the millionth time -- a Wolverine who is capable of death is much more interesting than the unkillable joke he's become in today's comics (and movies, for that matter). He's essentially immortal these days, which is absurd. @Matt: I do love this cover, though. Adams + Windsor-Smith = Awesome. It is a pretty great cover. It's a shame we never really get to see Windsor-Smith inking over Art Adams more, because they look great together. Indeed. I just feel like the "h" is the one sound that wouldn't get dropped from "hello". Isn't that, in fact, how Mystique killed him in her simulation in issue #176? 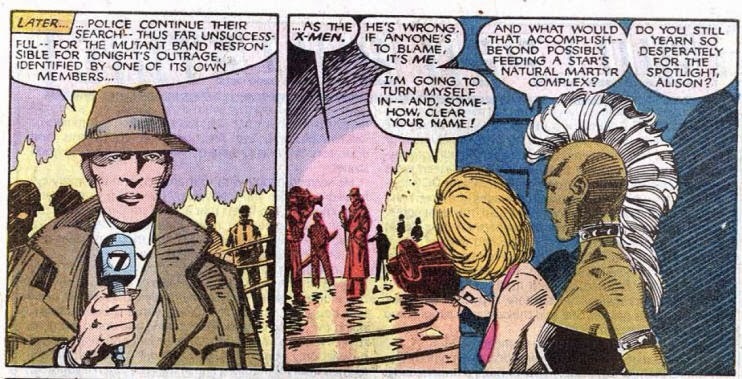 It was #177, but yeah, Mystique "killed" an Arcade Wolverine robot by slitting his throat. Here, at least, we get confirmation that Wolverine himself at least believes such a thing is possible, which, as you say, is much better than the near-immortal Wolverine of today. "Here, at least, we get confirmation that Wolverine himself at least believes such a thing is possible, which, as you say, is much better than the near-immortal Wolverine of today." 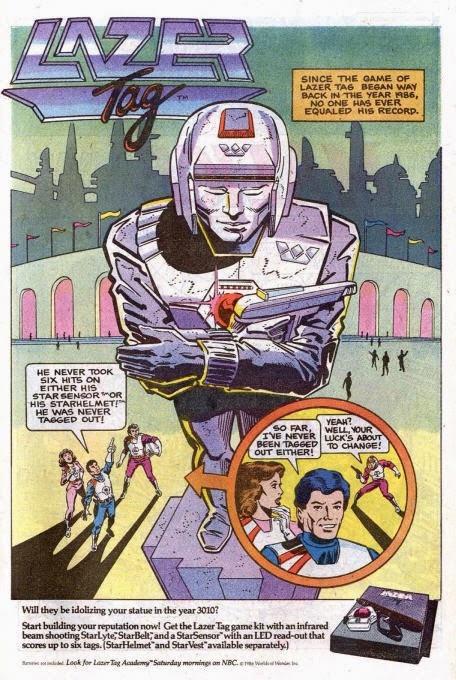 I'd say that transformation was already happening at the time of these comics, though. I think the Kitty/Wolverine mini was the last time we ever saw Wolverine get any sort of long time injuries. Wolverine had plenty of long-term injuries around the end of Claremont's run. He gets severely wounded by the Reavers circa issue #260, and he's never really 100% afterwards. 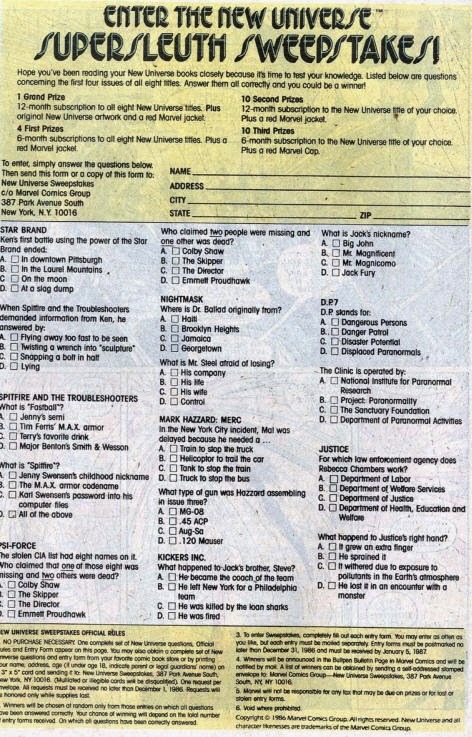 Jim Lee seemed not to like this idea and drew against it, but even when he did so, Claremont tried to script it otherwise. After Claremont's departure, though, the healing factore returned to normal, but it was still not amped up to 11 like it is now. In "Fatal Attractions", after the adamantium was ripped out, it was revealed that Wolverine's healing factor was much stronger than originally thought, and had been working overtime to compensate for the adamantium all these years. It was a plot point that the adamantium-free Wolverine had an insanely powerful healing factor. But then when he got the adamantium back, everyone seemed to forget why the healing factor had been so powerful without it, and they all kept writing him that way. I blame the movies, somewhat, for making the hyper-healing Wolverine into the standard. I still grimace at the bit in X2 where he's shot in the forehead and heals instantaneously. It may look cool, but it's totally ridiculous. @entzauberung: I'd say that transformation was already happening at the time of these comics, though. I think the Kitty/Wolverine mini was the last time we ever saw Wolverine get any sort of long time injuries. Nah, we've still got a few decent "serious injury" moments for Wolverine ahead. Like I said, this issue actually marks the beginning of period for Wolverine where Claremont starts to put Wolverine through the ringer. He gets cutup pretty bad by Forge's defenses in #225, to the point where Longshot has to try and carry him out of the building, and it takes him out of action for a good chunk of the story. And, of course, there's the whole beatdown and crucifixion that occurs at the hands of the Reavers in issue #251, which is followed by a period of time (pretty much until the end of Claremont's run) in which Wolverine is definitely not operating at 100% capacity as a result (all of which was, I believe, Claremont setting up the whole "Wolverine is killed and resurrected by the Hand and becomes a villain" plotline he had planned for the run-up to issue #300 that was scrubbed when he left the book). I'd also argue that he wasn't quite the God-Wolverine he is now (or is in the movies) even when Magneto ripped out the adamantium. He spent several issues of his series post-#75 dealing with the fact that his healing factor was overworked because of those injuries. Granted, the fact that he survived at all is proof he was more powerful then than he is at this time, but still, it wasn't as bad as now. If anything, it was those post-adamantium issues that led, in part, to God-Wolverine, because they established that Wolverine's healing factor had been less effective because it was constantly dealing with the fact that his bones were covered in metal. With all that gone, once he'd recovered, he could suddenly heal faster than ever before, more along the lines of what we see in the movies. (The other cause of the modern God-Wolverine is the movies, simply because a fast healing Wolverine is easier (and more exciting) to depict on screen than one who heals at a slower but still superhuman rate). And Matt beat me to it, and said everything I said in fewer words. Haha, shouldn't have argued with the experts - I haven't read the tail end of the Claremont run in a long time now. I maintain that they slowly ramped up the healing factot even pre Fatal Attractions though. 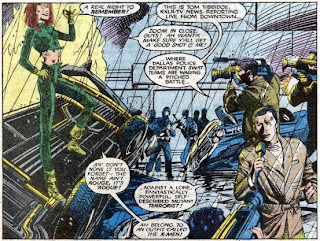 I can't see the Larry Hama Wolverine having much trouble with Shingen Harada, for example. "But of course, when he actually did get the adamantium back, no one bothered to correspondingly dial down his power back to what it had been, so he remained supercharged uber-healing God-Wolverine even though the reason he hadn't been before was put back in place..."
That's not surprising, though, it's very hard to power down characters long term. I think there's been a few recent stories that has attempted to dial down Wolverine in-story, but that stuff never sticks. I read this issue last week and kind of loved it. Barry Windsor-Smith is awesome. And while the plot is low-key, Claremont's narration still sells it. Hell, Claremont's narration can make almost anything sound epic. I almost laughed when he described Lila's singing as "fierce as a blood fight" but he won me over with "that tells the worst of the human condition while reaching, ever reaching for the best." That's just for a panel of someone singing! That's awesome!! Overall, I liked this issue. It's low key only compared to #211, but still has some decent action. And the character work Claremont does is very subtle and good. In many ways, it does set things up for future character arcs. 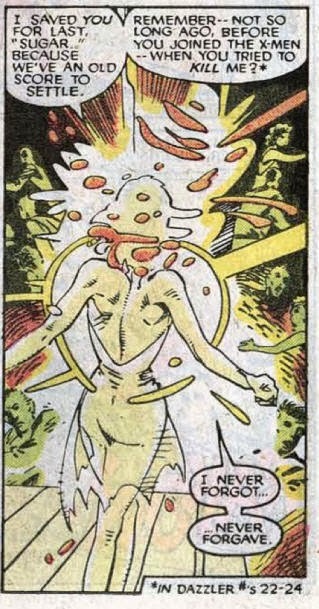 Too bad Kitty was incapacitated, as she seemed to know her way around using/fixing up Cerebro. "And Matt beat me to it, and said everything I said in fewer words." Maybe, but your answer was much more in-depth. I had forgotten about Wolverine's injuries during "Fall of the Mutants". @entzauberung: I can't see the Larry Hama Wolverine having much trouble with Shingen Harada, for example. Definitely not. I agree there's a step-up in power from Claremont's Wolverine to the post-Claremont, pre-Fatal Attractions Wolverine. It's just not quite to the level he's at today. @Jeff: That's just for a panel of someone singing! That's awesome!! Agreed. A lot of people rag on Claremont for overwriting and purple prose, but when deployed effectively (like here), it's great stuff. I know comics are chiefly a visual medium, but there's nothing wrong with occasionally letting the words (and their sounds) paint a picture. 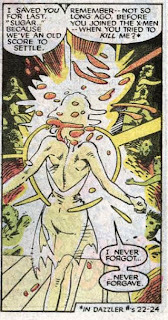 @wwk5d: Too bad Kitty was incapacitated, as she seemed to know her way around using/fixing up Cerebro. Indeed. In fact, I don't even think she can talk at this point, so she couldn't even walk someone else through repairing it. 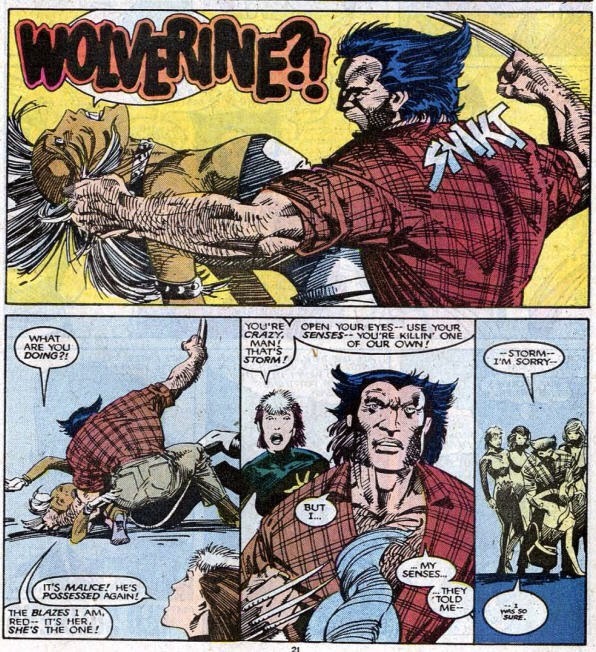 @Matt: I had forgotten about Wolverine's injuries during "Fall of the Mutants". 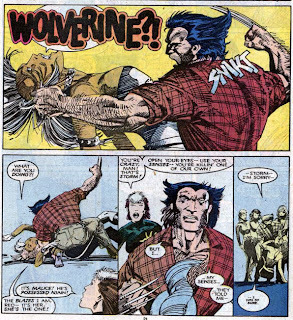 For whatever reason, that's always the first thing I think of when it comes to "examples of how Wolverine's healing factor used to be less powerful". Which is odd, because it isn't like it trips him up *that* badly. I mean, stuff like the Shingen fight or his battle with Lady Deathstrike are much better examples, but still. @wwk5D: Ah, yeah, I suppose Psylocke could have learned it all from Kitty telepathically. "'Lo" is bad but "Lightengale" is the single worst thing Claremont has ever written. Along with the last panel of that Impossible Man Annual, it's the most weirdly-specific innocuous thing that got me heated to come out of the era. Decent issue, always nice to see BWS'S art. Unlike the Lifedeath issues and 205, it felt like anyone could have drawn the story without losing much. I could see Leonardi, JR Jr, or Silvestri knocking it out. I think Dazzler's inclusion into the team is a great way to show how desperate times are for the X-Men and the people around them. Despite not wanting to be a hero and rejecting being an X-man several times, Alison is forced to stick it out with the team. @ Reese: Malice gets stuck in Polaris because of they way her energy form interacts with Polaris' energy matrix. She could leave Polaris for a while but had to come back. This would all changed when Polaris lost her magnetic powers. Great post. I do wish Psylocke had played a more substantial role in containing Malice. Even if she had lost the battle. This could have been a Nice issue showing a Psylocke who wasn't Physically tough, but a mental Juggernaut. Her pulling Malice onto the Astral would have been awesome. I would have written it that way.